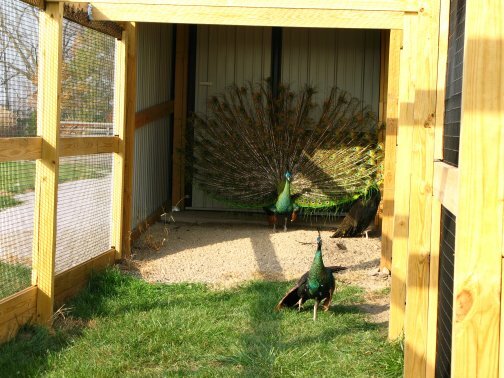 The pictures below show our flight pens and the article link above discusses the specific design features and construction of the pens. 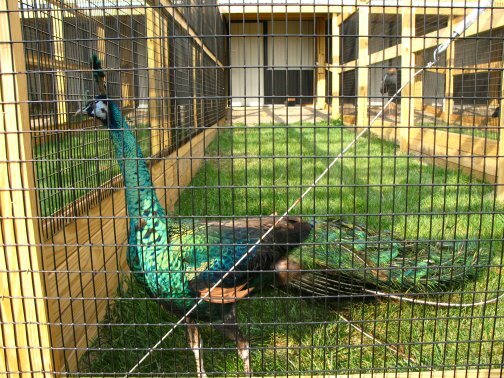 The wire for our pens was supplied by K&D Cage of New Castle, IN. 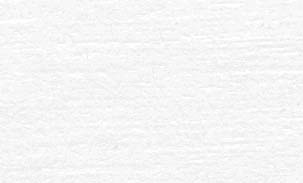 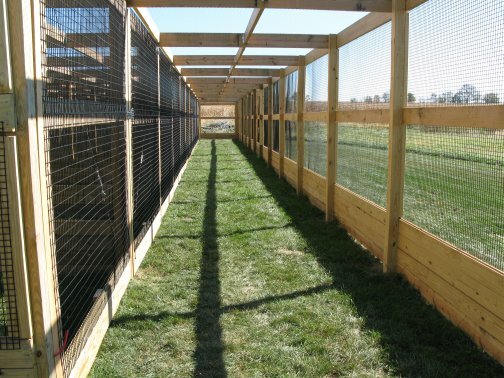 The netting used for our pens was supplied by Pacific Netting Products of Washington. 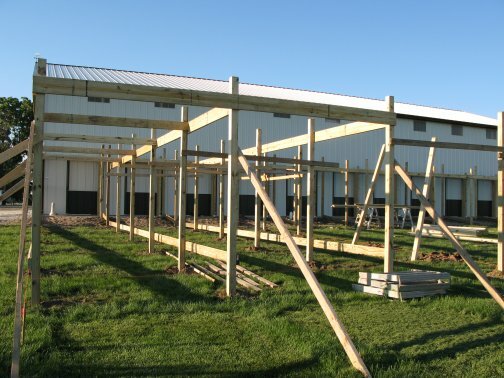 The wood structure for our flight pens is MCQ treated lumber. 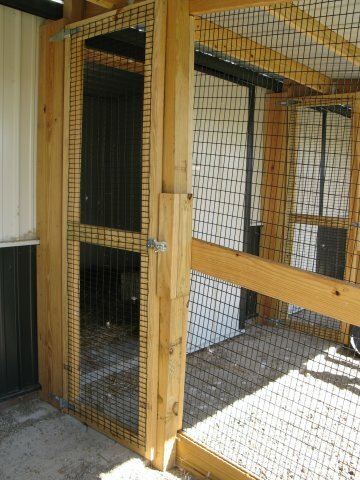 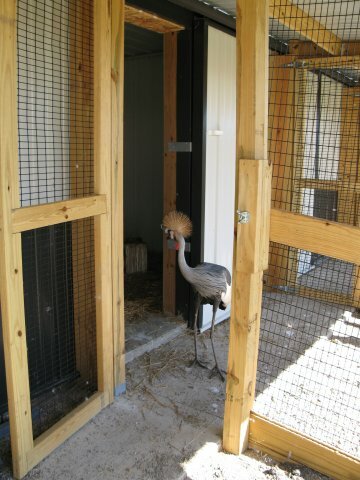 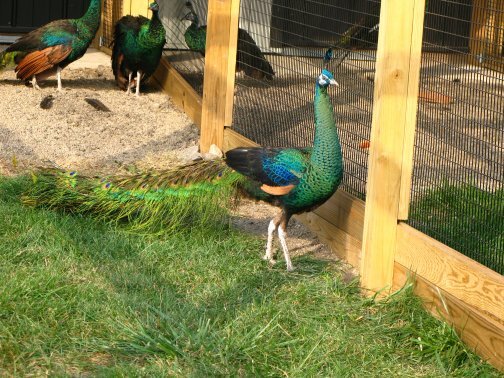 A system of aisleways and gates is used to move birds from pen to pen. 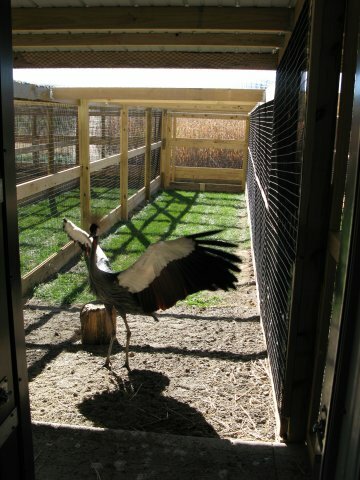 Small walk through gates allow us to move from pen to pen without using the large gates at the end of each pen. 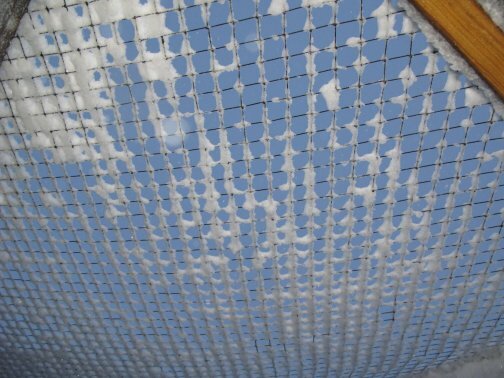 One inch knotted netting is used to cover the top of the flight pens. 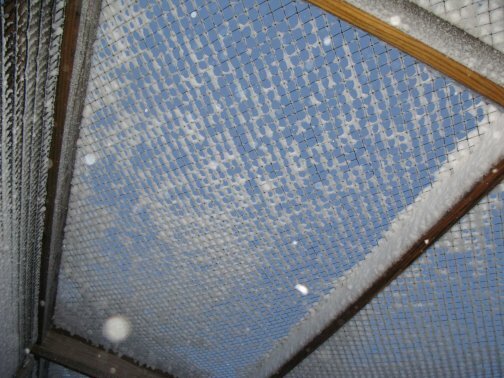 Knotted netting is a good choice for areas of the country that get snow as it allows snow to pass through rather than accumulate on the top of the netting. 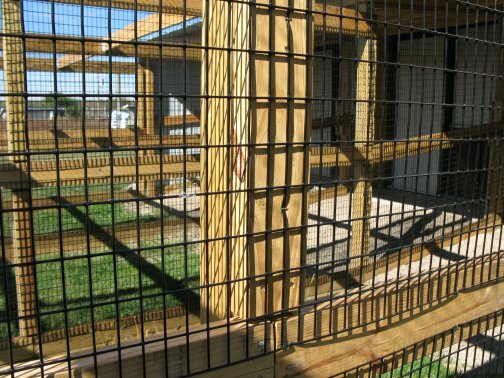 PVC coated welded wire is used for the sides of the pens. 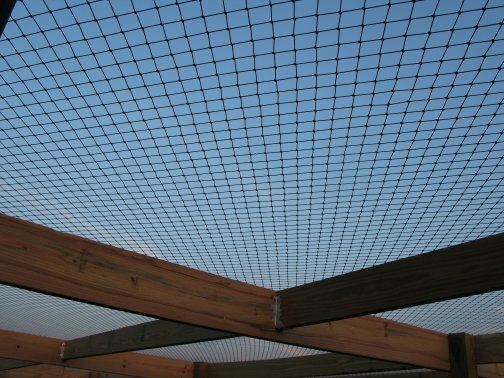 One by one wire mesh is used for the exterior panels and one by two on the interior. 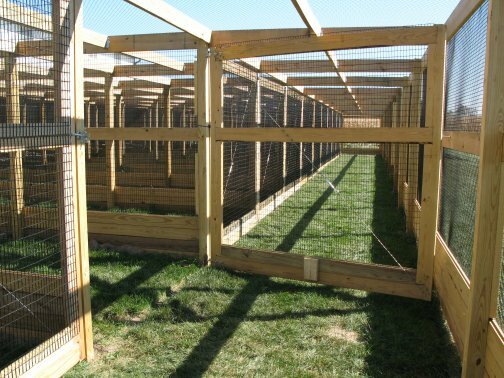 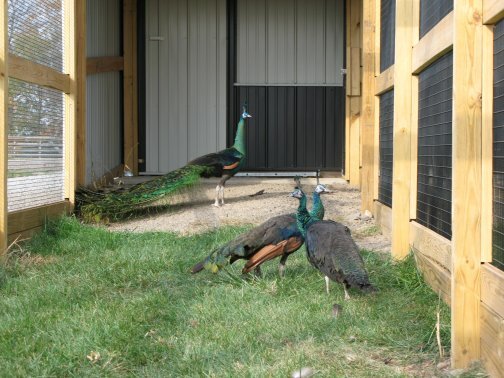 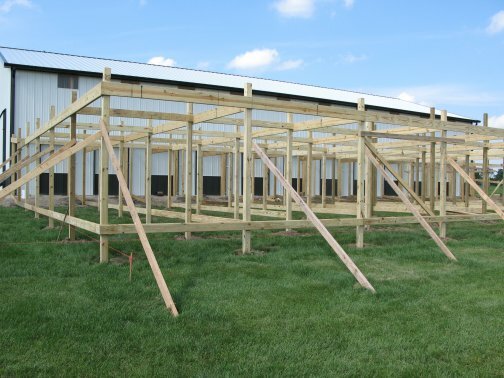 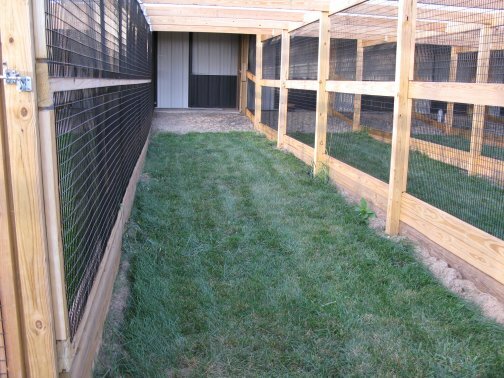 Our flight pens are on the south side of our facility to allow the birds to enjoy as much nice weather as possible while protecting them from the elements. 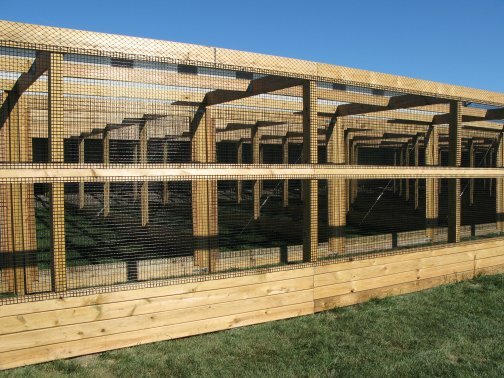 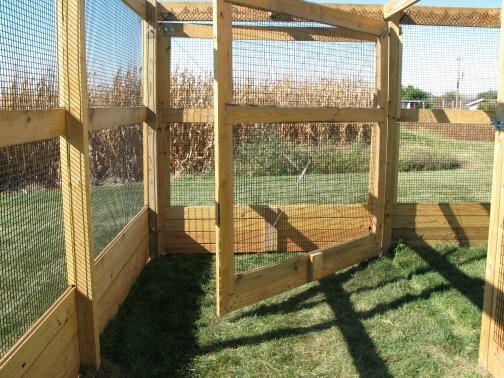 We have built a covered roosting area in each pen to provide shade and protection from the elements while still allowing the birds to be outside.